Shepherd's Cottage is a ground floor semi-detached cottage on a working farm near to Hawkshead in Cumbria. The cottage sleeps four people and has a double bedroom, a zip/link twin room and a shower room. It also features an open plan living area with a kitchen, dining area and a sitting area. Outside is off road parking and an enclosed patio with a hot tub. 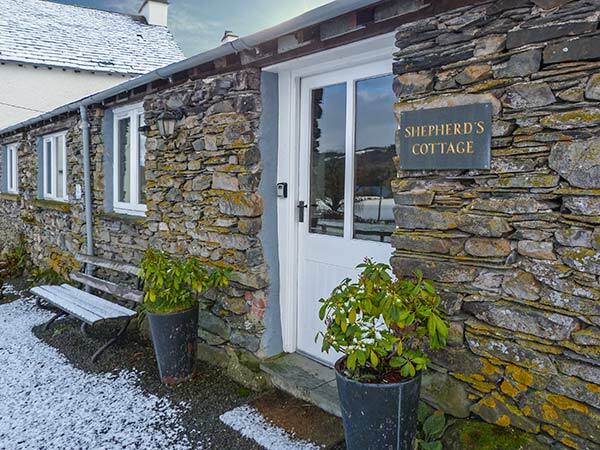 Just under a mile from Hawkshead, Shepherd's Cottage is the perfect place for a superb Lake District holiday, all year round. Electric central heating with electric fire. Electric oven and hob, microwave, fridge, dishwasher, TV with Freeview, DVD, iPod dock, WiFi. Fuel and power inc. in rent. Bed linen, towels, robes and slippers inc. in rent. Travel cot and highchair on request. Off-road parking for 2 cars. Two patios with furniture, BBQ & Charcoal and private hot tub. Sorry, no pets and no smoking. Shop and pub 12 mins walk. Note: Evening meals and laundry facilities available through owner. Note: The cottage is on a working livestock farm and the owner also has a B&B. 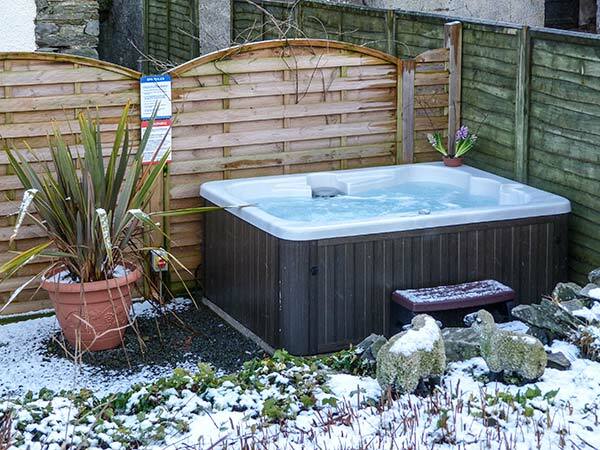 Note: The Hot Tub is drained, cleaned and refilled between each set of guests so this may take some time to heat up on day of arrival. Note: Fishing license required for lake fishing. Note: Please contact the owner at least 7 days in advance of your stay if you wish for the beds in the twin room to be made up as a super king-size double. We also have details of 47 other similar properties nearby which might suit you.